People love coffee. I bet you do too! Espresso-based drinks are more popular than ever, thanks to big coffee giants like Starbucks, Tully’s and Caribou Coffee. There are also plenty of independent coffee shop around pouring great tasting cups. With so many coffee shops around, it would be natural for many people to have the desire to start their own coffee shop business. Yet, when we think about coffee shops, most people often focus on the social or fun aspects of the business. This is a natural thing to do. But sometimes that’s all they do. 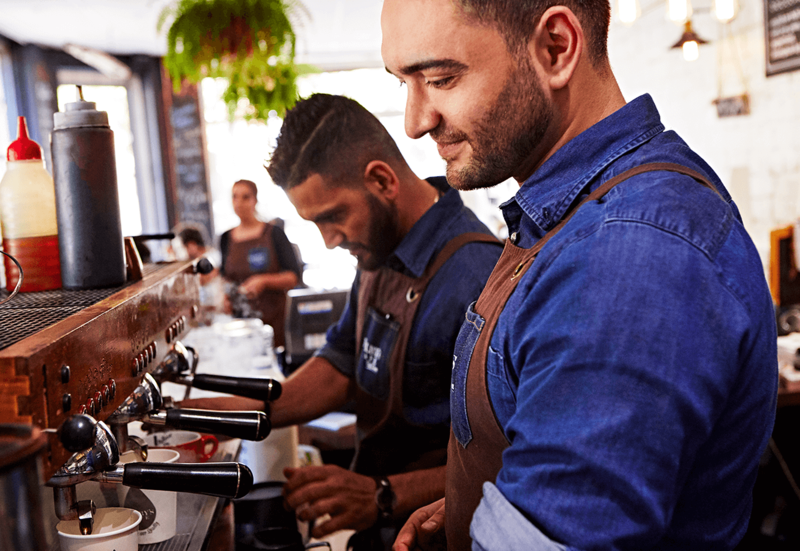 Some aspiring coffee shop business owners often skip out on honoring the challenge that’s involved in starting and running a coffee shop successfully. Without asking the hard questions about key aspects of running a business, a coffee owner can quickly feel overwhelmed. The result can lead to burnout and a failed business. Why Do You Want To Open a Coffee Shop Business? There are many good reasons to start your own coffee shop business. It allows you to express your creative side, meet people, draw the respect of people in your community, and of course, make a profitable business a reality. Do I like fast paced environments? Do I like being in the service industry? Am I good at multi-tasking? Do I get flustered and stressed very easily? Do you enjoy satisfying customers? Can I deal with difficult people? Can I afford NOT to get paid this week? Am I in a place in my life where my job can completely consume me? Whatever your answers are to these questions, it is important that you are honest with yourself. No one else’s answers matters. Many people, unknowingly “fool themselves” to the challenge that comes with starting up a coffee business – or any business for that matter! Certainly, the best way to really tell if you want to get involved with a coffee business, is for you to get a job at a local coffee shop or café. I have met several people who started a coffee related businesses, invested a significant amount of money, only to quickly close their coffee shop because they didn’t have a clue about what they were getting themselves into. If you don’t have time to work at a coffee shop for six months to a year, you should at the very least, visit several coffee shops or cafes in your area. While you can explore various coffee drinks, you should also be purposeful with your visit. Try observing the activity – not from a “customer’s perspective”, but by observing the activity from an “owner’s perspective” or manager’s point-of-view. Try to garner as much insight that you can apply to opening your coffee shop business. During your visits, focus on the activity of the staff, the challenges of the owner/manager (if possible), and the engagement with the customers from a business perspective. Do you like what you see? 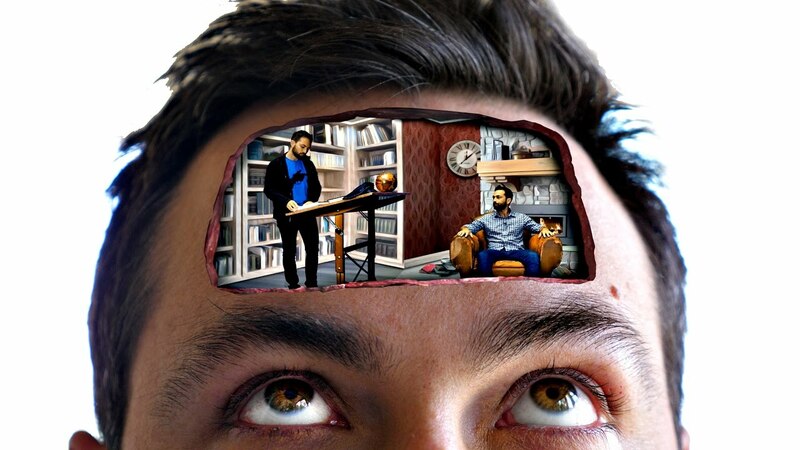 Would you be able to see yourself interacting in the same manner? Success in a coffee business will take lots of planning (and then more planning), appropriate delegating, financial investment, long hours, hard work, commitment, patience, and possibly a little luck (and add squeeze a few more hours of hard work after that). Despite the glimpses of meeting new people, laughing with customers, seeing the cash drawer ringing with money transactions, a “day in the life” of a coffee owner is riddled with stress, constant juggling, delegating, and often not enough hours to get everything done…then, you have get up early to open up and start all over again the next day. Are you ready for that kind of life? You will need to make bank deposits nearly every day and occasionally be woken up at night for an emergency from time to time. I have talked to veteran coffee shop owners who told me that after starting their business, they didn’t take a vacation for many years. Are you ready to be consumed by your coffee business? 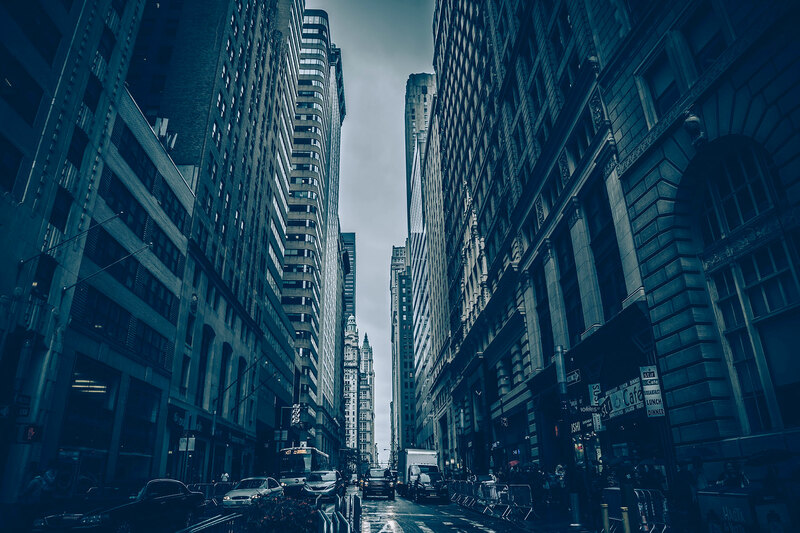 We realize most consultants or other coffee shop business guides wont mention these questions, but we think that they are important and should be confronted before you move forward. We should mention here that if you are wondering what to expect when you start your coffee shop, you will want to to contact us in order to help you in your vision. 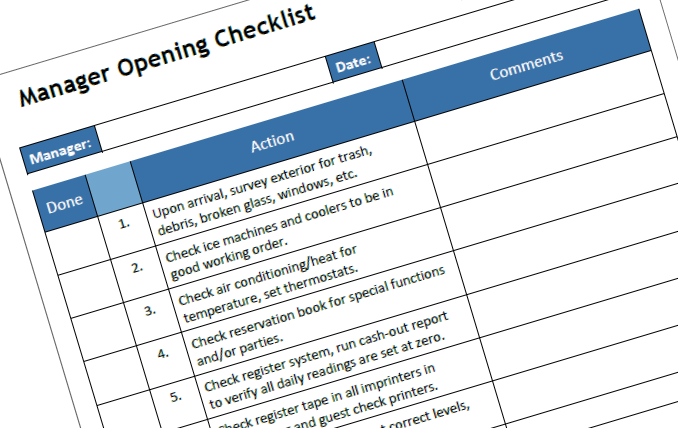 All of these have multiple and specific tasks and duties that need to get done if the day can be called successful. If there is a log-jam in duties not being fulfilled, it can really impact the success of your day – and tomorrow’s success too! Aside from the day-to-day operational management of your coffee shop business, you will still need to plan for your upcoming week by doing payroll, accounting, marketing, getting vendor supplies, going to the bank, and having roasted coffee beans delivered on time. 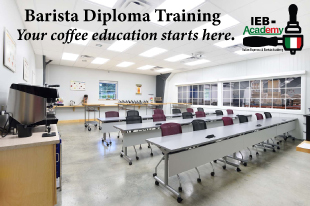 Additionally, you will have to pay for regular pest control, work with plumbers, espresso machine repair or maintenance technicians (or do it yourself), as well as prepare and train baristas. Of course, you will always anticipate health department visits, pay rent, insurance, taxes, worker’s compensation, and other utility bills. Additionally, you will always be on the “look out” for new employees as employee turnover is frequently high at many cafes. If you are in a typical coffee shop, mornings will be your biggest rush. 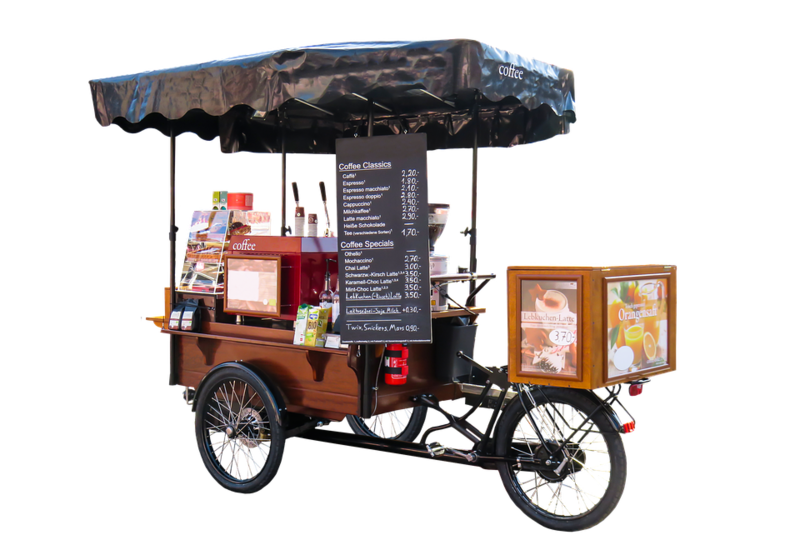 Before you open, you will need to make sure that you have your coffee ready, espresso machines on, your water filled (if you have a self-contained coffee cart, kiosk, or stand), your fresh food and other supplies and products that you serve. If you serve bagels or other food items, you will want to make sure all of your spreads are filled and ingredients are ready to be used. All this of course, really happens the night before. All of these functions are just the beginning of your daily, weekly, and monthly duties and responsibilities. Add to that the uniqueness of your coffee business will bring on its own set of challenges. Be Prepared To Look at Yourself in the Mirror and Ask: Do I have what it takes to open a coffee shop? You may recognize and even feel energized by the challenge ahead of starting a business. 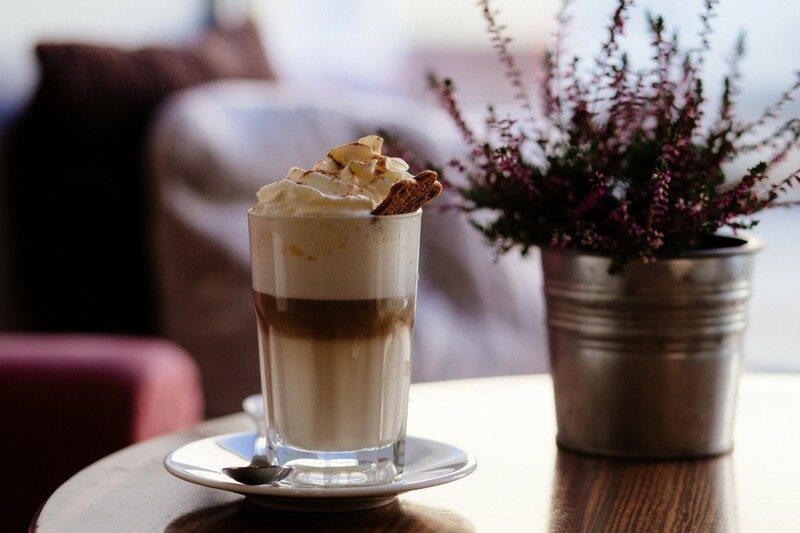 To be sure, despite the challenges of starting a coffee shop business – whether it’s a coffee stand or a café), opening a coffee shop can have tremendous benefits. While it takes some financial risks and plenty of personal sacrifices, many people love the experience and enjoy seeing their coffee business grow, flourish, and become profitable – and in time, they may even decide to expand to a second and third coffee shop location. #1: Are you up for the financial risks? There’s no way around the issue. Starting a business requires capital (money), and you may have to risk all of it (and more) to see your dream come to fruition. The benefits of risking your savings can pay off with a thriving and profitable business. However, you must be prepared in the end to lose the investment. #2: Will you be able to live without a paycheck? There will be times (some coffee shop owners say many times) that you will not have enough to pay your employees, your bills, and yourself. There may be weeks where you will be working 60 – 80 hours a week, and have absolutely nothing left to pay yourself. You have to simply prepare financially by having a buffer so that you can pay your rent, food, and necessities. As the owner of a business you will need to make tough decisions. What’s at stake is the overall success of your business, so such decisions will include firing employees, disciplining employees, cutting back hours, cutting vendors, and hiring and training new baristas. Good management requires tough decisions to be made all the time. Be sure that you are up for the task. #4: Will you be able to adapt and endure growing pains? As you grow and learn the coffee business, you will move up along the “learning curve.” There is no surprise that there will be some growing pains. These come in the form of stress, of making bad decisions and then correcting them, losing money a variety of business choices, etc. There is no “straight line” when starting your coffee business. You can be sure that unexpected events will happen, some employees will be challenging, and finding your own way will require mistakes, bruised self-confidence, and money needlessly spent. Growing pains may require you to hire and fire staff and vendors. After you launch your business and last for a period of time, you will experience growing pains. #5: Will you (and your family) be able to adapt to the lifestyle change? Your business is not simply “a job” that you go to on Monday morning. If you’re like most business owners, your coffee shop business will consume your time. You will be putting long hours daily, weekly, monthly – for many months or years. Your family vacation may need to be put off, events that you would love to attend may have to be canceled or missed. To be sure, your lifestyle will change. Are you and your family prepared? First, do a personal SWOT Analysis. Taking a look at your strengths, being honest about your weaknesses, and finding the right opportunities in a sea of threats takes some time to consider. You need to be honest with yourself as you reflect. Before jumping into your business, you should take some time – hopefully quiet time – and write down your SWOT. Think about them as you write them down and then return to address each one of them as it relates to your business. Do you have the stomach for business? Owning your own business (especially a coffee shop business) may be like a roller coaster for the first couple of years. They require an ability to stomach some stressful time. Ask yourself whether you are at the right time and place in your life where you can stomach this kind of lifestyle. Regardless on what type of coffee business you try to start and open, you will want to have the “stomach” for it. Do you have excellent people skills? Owning a coffee shop or coffee stands requires you to meet hundreds of new people – sometimes daily. It takes a lot of energy. Every customer requires and deserves excellent attention. Customers can be difficult. There will be many customers who may never be satisfied with even the best of service. Still others will look to bargain for free things because of their unmet perceptions and expectations. What are your leadership abilities like? Owners and managers need to be leaders. If a business doesn’t have a strong leader, the business will simply float without any direction. Like a captain on a ship, a leader takes the helm, steers the rudder, and guides the business through heavy seas. Regardless of what analogy we use, business owners simply need to be good leaders or at least grow into a leader. You have to ask yourself will you have the leadership skills to manage and even inspire, your employees? Can You be Right Brained and Left Brained – At the same time? When you own your own business you will need to be analytical and creative – at the same time. A business owner with only one of those attributes will fail – unless he brings other people on board with the necessary characteristics to ultimately run his business. 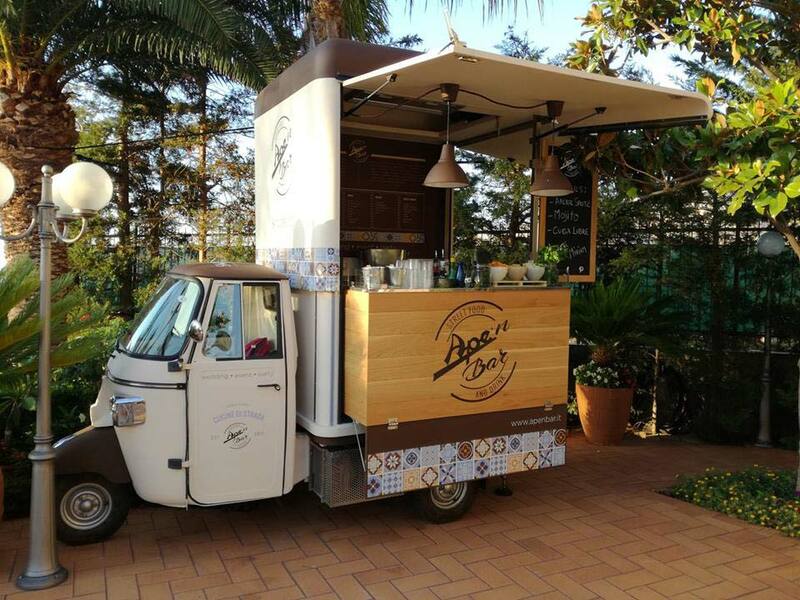 Coffee shop owners will need to consistently be creative on a variety of fronts – this is actually a necessity. Being creative can help you save money along the way of achieving the vision for your business. Coffee shop business can create a lot of pressure for business owners – especially for new and learning business owners. If you perform well under pressure, you are probably cut out for owning a coffee shop. Just be aware that pressure will exist and that you will need to function and perform well under it – if your business is to succeed. Each of us has a breaking point. As you will need to work well under pressure, you will also need to be flexible too. Adapting to challenges in order to make your business works requires nothing less than flexibility. 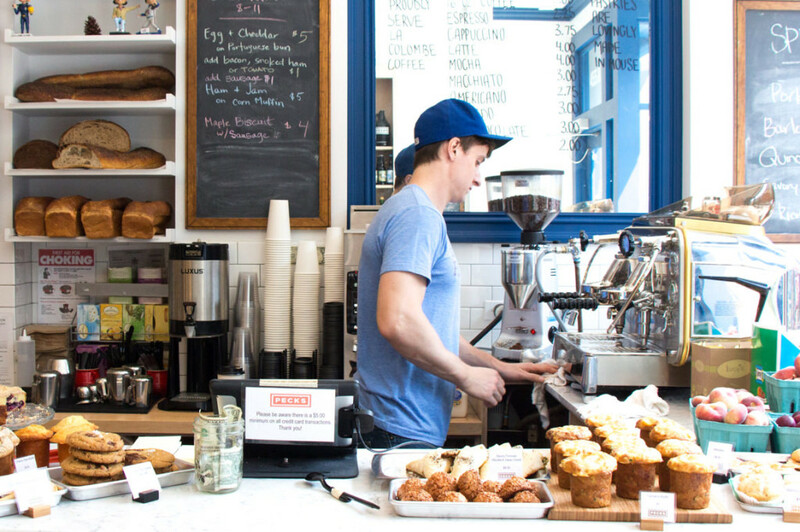 Owning and managing a coffee shop business will require a degree of flexibility. Without it and your coffee shop business will ultimately fail. While you might be able to work under pressure for a few weeks, even months, and be flexible, owning a coffee shop requires the ability to have stamina. Your business may need to be massaged and nurtured every day of the week for the first year – or two. Being able to last a couple of years under the strain, stress, and pressure will/may be necessary. Finally, are you passionate about your coffee business? Will you love what you do? If you don’t love what you do, then you will quickly run out of enthusiasm. Understanding the passion behind your decision of starting a coffee business is essential before you actually start your business is essential. Will you know when to ask for help? Many business owners fail, because they are reluctant to seek help or pay for the necessary assistance with establishing your business. 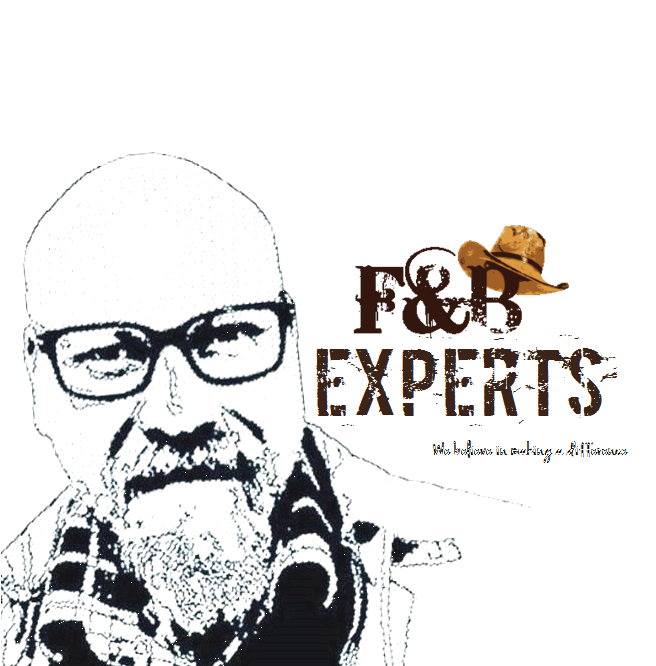 While I believe that owning-the-business and doing much of the “heavy lifting” there will be times where you will (or should) call for the advice or expertise. Smart business people know to surround themselves with people that strengthen their weaknesses. Being able to recognize when you need help is often a humbling experience. As you open and launch your coffee shop business, you may need to seek help or advice from a variety of experts. We hope that our premium resources will help you figure out the questions to ask those you bring in to help you. Whew! Take a deep breath. We’ve covered a lot of things here! Simply take the time to reflect on the main points and determine how any of them apply to you. Reflect and then answer each point. If you need to speak with someone, consider speaking to someone who will be honest with you – and play devil’s advocate with your answers. By taking the time to honestly reflect and answer the questions, you will save yourself a lot of time, heartache, and money. If you don’t know where to start consider taking a note pad down to your local coffee shop or cafe. Order a cup of coffee and think about the questions we just mentioned. Picture yourself as the owner of the cafe. What does it feel like? Answer some of the questions or points that we have raised in this article. If you are getting a good feeling about it, then you should take another step to move closer to your business planning. Okay, Are you ready? If you have answered the aforementioned questions and feel even more confident about your decision to move forward with your coffee business, then you are in good shape! The next step to setting up your coffee shop is that you will need to figure out what’s in your way between where you are now – and where you want to be. Usually this requires some planning. Planning ensures greater probability of success in any business. Preparing for your coffee business is no different! If you are still unsure, simply start small. There is plenty you can do (and you can have a lot of fun doing it) without spending any real money. In a variety of blog posts, we covered many different free ways to get started on your coffee shop business. While starting a coffee shop business requires money, it doesn’t require money right away. We believe that taking the first step towards opening a coffee business begins with a simple decision: You will do more research. Much of the research can be free or maybe cost the price of a couple of lattes or Americanos. Do you need a coffee business plan? Do you need to start your research? If so, we recommend checking out our affordable coffee business startup resources. We utilize the knowledge and wisdom of real coffee business veterans to help you launch your business successfully! Additionally, a coffee shop business plan can be very useful and more importantly give your business ideas some robust thought and planning behind it.